There is panic among directors of Stanbic Bank in Zambia over last year’s High Court ruling that ordered that the bank should pay K192.5 million in damages to Savenda Management Services Limited for “carelessly” listing the firm on the Credit Reference Bureau (CRB), sources within the bank have said. Stanbic Bank sources have said that following the revelation by this publication through a letter to the editor last week that criticized the manner in which the bank treated Savenda over a loan the company obtained in 2007, directors at the pro­-South Africa bank have been in panic mode as to how the High Court order was still making news in the media. “For the past week, our directors have been panicking as to how the court documents found their way to the Zambian Watchdog. They are currently looking for sources that could be leaking such sensitive information to the media and if it is discovered that it was leaked by one of us, we risk losing our jobs,” said the source within Stanbic. The source have said that the managing director has since directed all personnel in the marketing and advertising departments not to be issuing any statements to the media with the exception of an advertising and media relations firm that the bank will engage to control the damage caused by the Savenda case. Our sources within Stanbic Bank have also revealed that the marketing and advertising departments have further been instructed to ensure that any media house that will be issuing negative stories about the bank should be denied advertising business. A few days ago, Stanbic Bank even held a public relations function where all media houses were invited, to the exclusion of those that have been exposing the bank’s fraudulent activities against its clients. Below is the letter to the editor that has caused panic among the directors of the bank. It was while digesting the fruit and vegetable ban that my eyes came across a seven-month old article in the Financial Mail detailing how Lusaka High Court Judge Justin Chashi had ordered that Stanbic Bank Zambia pay K192.5 million in damages to Savenda Management Services for “carelessly” listing the company on the Credit Reference Bureau (CRB), thereby leading to a significant loss of contracts. It is even surprising that seven months after Judge Chashi’s ruling, stakeholders in the banking and business sectors have remained mute. 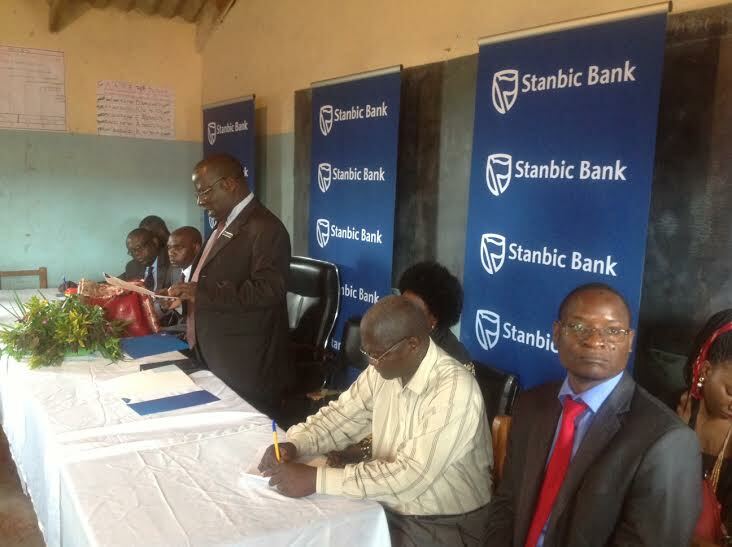 What is so special with Stanbic Bank?